I haven’t been to the dentist in a while. And by while, I mean over a year. But if I don’t urgently need to go, I just don’t. Sue me. I should actually go soon though as the main reason I didn’t go was pregnancy and breastfeeding. It’s amazing how much your health has to be put on hold when you’re pregnant. From….. no, let me not digress. 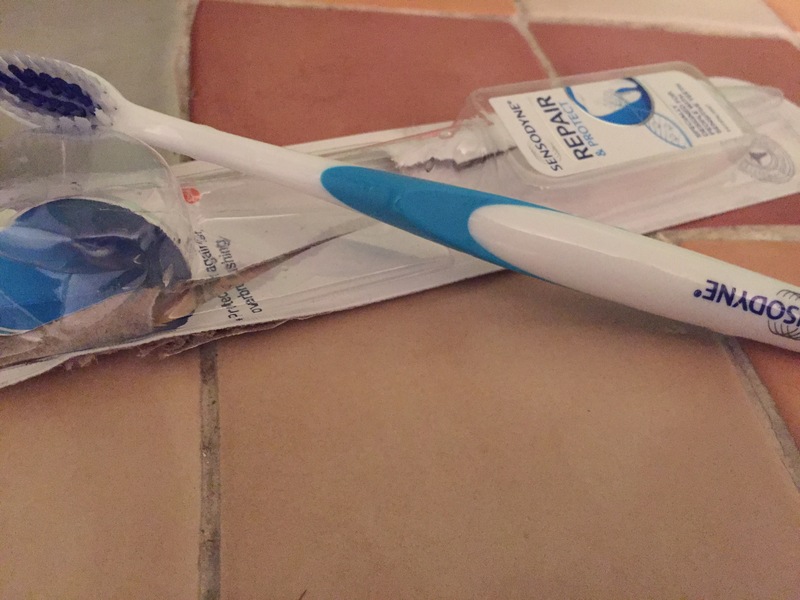 The main reason I’m writing this so early and so excited is that I think I finally found the holy grail of toothbrushes. I’m constantly on the lookout for a good one that’s soft and gentle, fits into the palm of my hand like a well knit glove, with bristles that caress my teeth and gums, just the right length to maximise the hand to mouth ratio when I hold it, a small enough head to fit all the way back to and go around my molars without my dislocating my jaw trying to open wide. This isn’t an endorsement. I wasn’t paid, except in tears of joy as I used it, so don’t go rushing out based on this account but hallelujah! No matter what they price it,I think this is the toothbrush for me. Yes, life is that exciting these days.